Savings Estimates Increase Again for Public Transportation Riders! Washington, D.C. – You might be wrapped up in the blooming flowers at the beginning of spring, but you can watch your savings bloom year-round when you switch to public transportation. These savings, unlike your garden flowers won’t go dormant once the weather turns colder. Public transportation will keep green in your wallet even while your perennial spring flowers hibernate for the fall. The annual savings is $9,234 for a person who switches their daily commute by car to taking public transportation, according to the American Public Transportation Association’s (APTA) March Transit Savings Report. Individuals who ride public transportation instead of driving can save, on average, more than $769 per month. These savings are based on the cost of commuting by public transportation compared to the cost of owning and driving a vehicle which includes the March 23, 2016 average national gas price ($1.99 per gallon- reported by AAA), and the national unreserved monthly parking rate numbers. APTA then compares the average monthly transit fare to the average cost of driving. The cost of driving is calculated using the 2015 AAA average cost of driving formula. That formula is based on variable and fixed costs. The variable costs include the cost of gas, maintenance and tires. The fixed costs include insurance, license registration, depreciation and finance charges. The comparison also uses the average mileage of a mid-size auto at 23.1 miles per gallon and the price for self-serve regular unleaded gasoline as recorded by AAA on March 23, 2016 at $1.99 per gallon. The analysis also assumes that a person will drive an average of 15,000 miles per year. The savings is based on the assumption that a person in a two-person household lives with one less car. 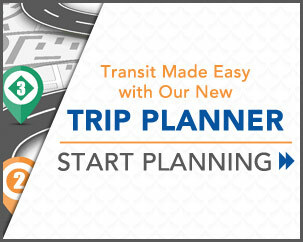 To calculate your individual savings, with or without car ownership, go to www.publictransportation.org​.